It's and we would like to welcome you to the Salt Lake Tourist & Visitor Centers official online edition. This page provides detailed information on outdoor activities. If you enjoy outdoor activities, here are some of the best websites on various topics that we have found. Editors Note: The Narrows in Zion National Park is Outstanding! 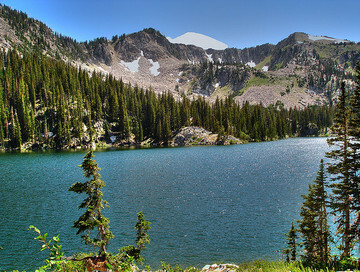 Published in the spring of 2013 by Mike Matson, Moon Take a Hike Salt Lake City is a selective hiking guide featuring the best of what Salt Lake's trails have to offer! 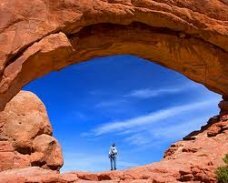 Covering 75 day hikes within two hours of Salt Lake City - this guide has enough hikes to keep most hikers busy for years, if not a lifetime. Researching the project, Mike hiked and reviewed 3-5 hikes a week for 3 months straight during the summer of 2012. From the steep faced mountains of the Wasatch, to gentle relaxing walks in the high Uinta's, to the unique mountains of the western desert, there's so many great outings near Salt Lake. 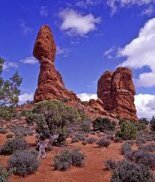 Outdoor Fun with Rock Climbing - An Excellent Page covering many aspects and topics covering rock climbing. This is from A State of Play, Rock-climbing appeals to many people, offering exhilarating challenges and enjoyable physical activity. Not only can you experience a rugged environment in its natural condition, but you can scale heights you may have never dreamed of conquering. With instruction and practice, people of all ages and fitness levels can rock-climb safely. Styles of Rock-Climbing. Tips and Advice. Trips and Destinations. Organizations and a Rock Climbing Terms Glossary. Get the true western experience riding the trail from the saddle of your horse! It has been said "the best thing for the inside of a man (or woman) is the outside of a horse." We completely agree, but you should prove it to yourself wrangling up with our easy-going horseback riding guides and friendly trail-savy horses. It will be a great time that you won't soon forget. 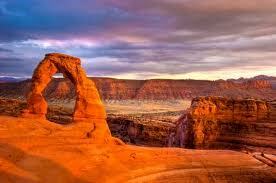 A horseback riding trip in the Park City, Utah mountains will refresh your soul and revitalize you. Riding the trail on horseback will give you an escape from the bustle of city life. Far away are the noisy highways, traffic and congestion of the city allowing you to relax and take in all of the scenery. You will be able to enjoy wide open mountains, forest and wilderness from the saddle of one of our a trail-savvy, quarter horses. East Canyon Reservoir is a popular boating and fishing destination not far from Salt Lake CIty. This large reservoir offers good boating and water skiing opportunities as well as decent fishing. Jordanelle Reservoir is a large reservoir set in a valley east of the Wasatch Mountains. It is very popular for watersports and offers good fishing. Jordanelle State Park along the shore provides camping and picnicking opportunities. Rockport Reservoir is a popular destination for fishing, water skiing, swimming and sailing. Water skiing is good early morning and dusk and afternoons present good sailing breezes. Five campgrounds offer both developed and primitive camping in a variety of settings. Strawberry Reservoir is a huge body of water that offers great opportunities for boating and fishing. There are a few recreation complexes around the lake offering camping, picnicking, and marina services.